A clarinet quintet is a musical grouping made up by a clarinet and string quartet. Most popular in the classical era, music for this ensemble has been written throughout the ages, continuing on to the present day. 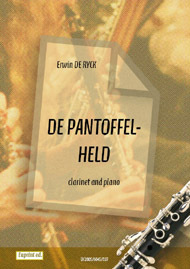 The quintet form is one of the most popular types of clarinet music, with the agile and warm sound a good partner to the strings, often blending in with the mellow tones of the viola or soaring above the strings with delicate notes from the high register. The most famous of all quintets is the Mozart Quintet for Clarinet and Strings in A Major, K. 581. Written in 1789 for Mozart’s friend the virtuoso clarinetist Anton Stadler, this piece is a perennial favorite of players and listeners alike. Inspired by Mozart’s quintet, Brahms also wrote a famous quintet for clarinet and strings Op. 115 in 1891. 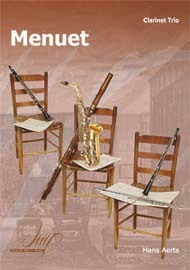 Along with the Weber quintet Op. 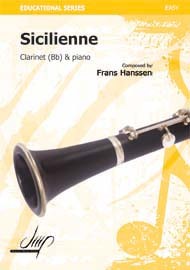 34 written in 1815, these pieces make up the core of the chamber music repertoire for clarinet. The form of the quintet continues to be used today. Modern quintets include those written by Magnus Lindberg, Arnold Cooke and Arthur Bliss. Traditionally written in four movements, many modern pieces use a different form, whatever the composer believes will reveal his or her intention best. Many famous clarinet players have teamed with leading string quartets to perform and record these pieces, one of the most famous collaborations being Dame Thea King and the Britten String Quartet.